Home / SuperSerials / Tech Makoda / WildCat International / Arjun Rampal's Daddy lets you revisit Bombay of the 70 80s and 90s! Arjun Rampal's Daddy lets you revisit Bombay of the 70 80s and 90s! Every film and story has a backdrop. The backdrop is usually a city that serves as the platform to let characters breathe life into their roles. In Ashim Ahluwalia's Daddy the city is Mumbai and the year and era is the 70s 80s and 90s. Mumbai was then Bombay and Arun Gawli ruled the underworld network in the city. Arjun Rampal as we all know plays the role of Gawli in this realistic thriller based on the life of Mumbai's most infamous gangster. Apart from a glimpse into the life of Gawli the Film also chronicles the timely transition of Bombay to Mumbai through the 80s and 90s. The makers did a great deal of research ,referencing photos and going all out to ensure that there was a sense of realism in creating the Bombay of that era. The film takes you through the various alleys and gulleys of Parel, Mumbai Central, Nagpada, Agripadad and other places that served playground for Gawli and his team. It is not just the topography of Bombay that stands out in the film but also the way the city shed its skin and dealt with the deadly disease of unemployment. Shot in locations in Kamathipura and also "in parts of Mazagaon, Cotton Green and Sewri in the Eastern belt of Mumbai — the last vestiges of erstwhile Bombay", Ashim was very particular when it came to choosing the locations. "I have grown up in Bombay and have seen how police stations, dance bars etc looked like in the '80s. These are spaces that most Bollywood movies get completely wrong. I don't design pot boiler masala films I do content driven films that have enough masala to become a pot boiler . 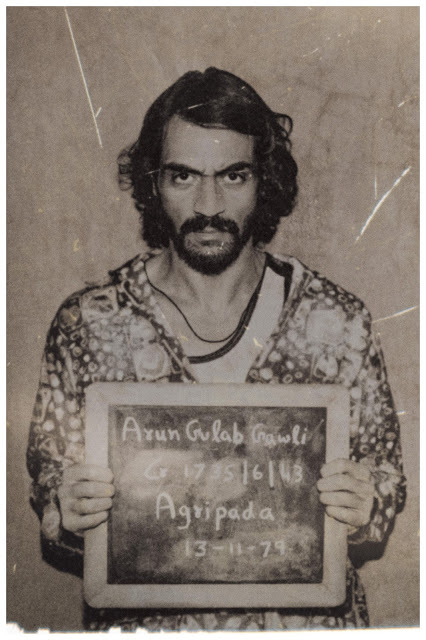 Daddy transcends over 40 years from Arun Gawli at age 24 to his current age 65 The movie has depicted not only the physical and life changes in Gawli’s timeline but also the societal changes in Mumbai over 4 significant decades, its people and the spirit of the city. From the time when there were no mobile phones and tvs to the time where social media is the medium for terror, this transformation of the city is what Daddy is all about. From Bombay to Mumbai, for all that this gangster film promises to be ,there are huge expectations ! Let's hope it delivers !